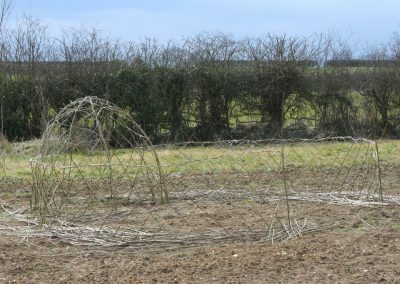 They show the structures at different stages of their ‘lives’ (often over a number of years) and throughout the seasons. 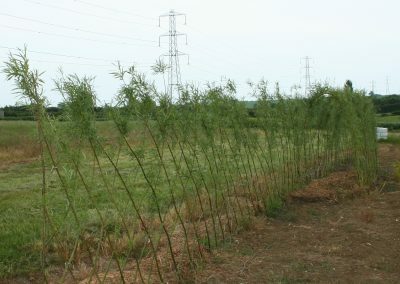 Shown in late Spring 5 years after planting. 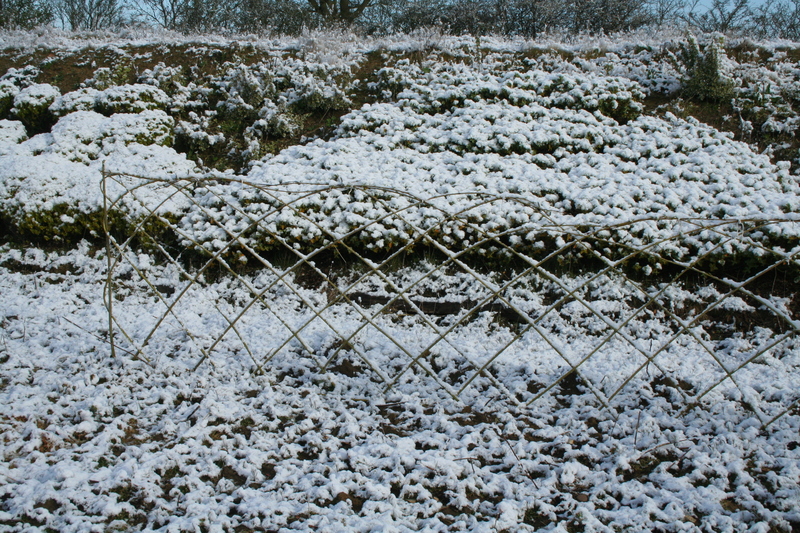 Shown in winter several years after planting. 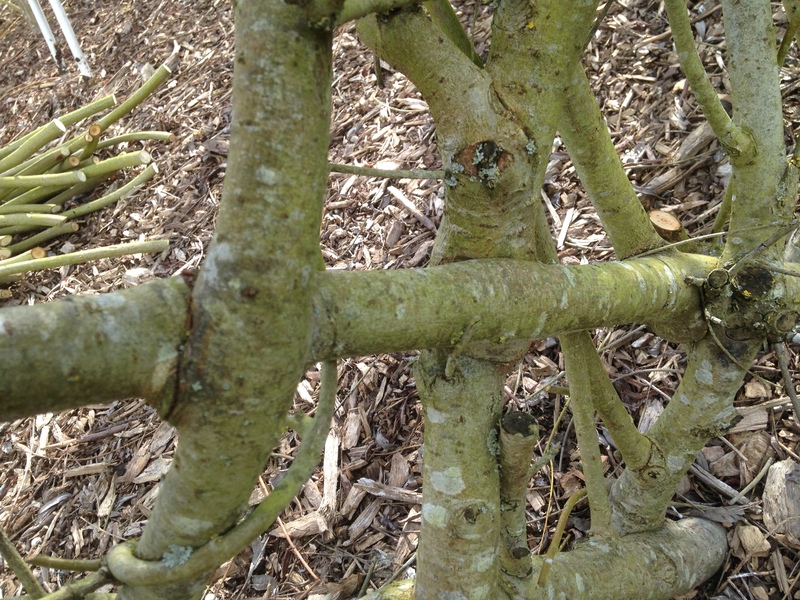 Showing pressure grafting of the whips together. 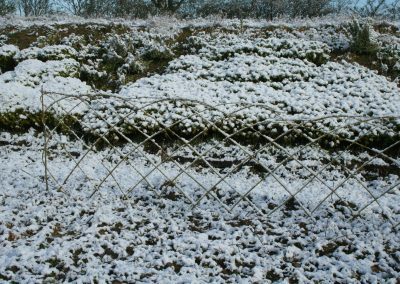 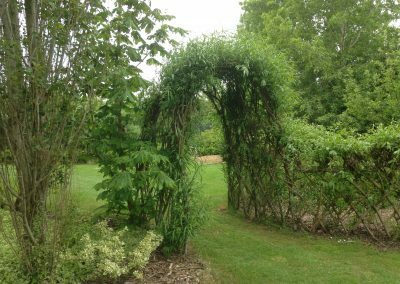 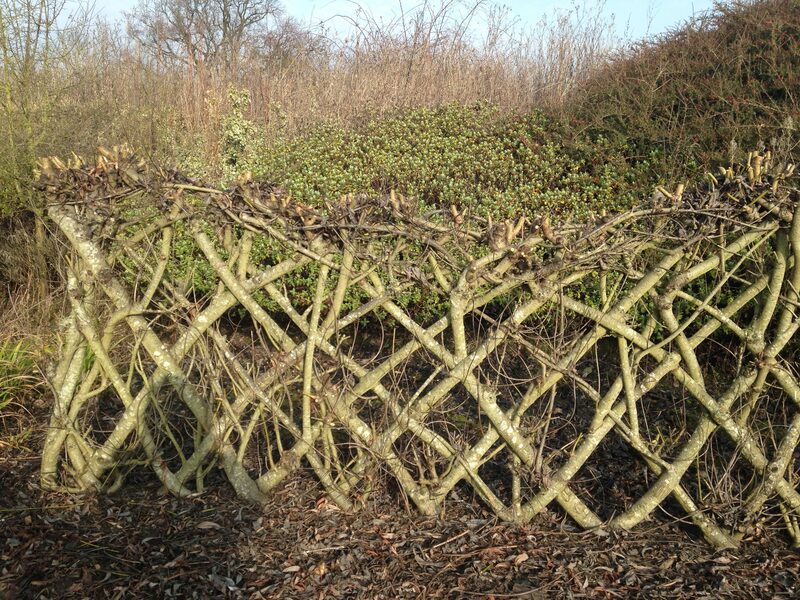 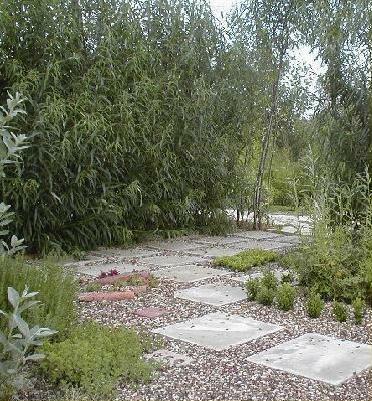 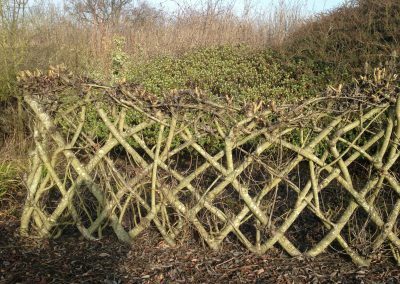 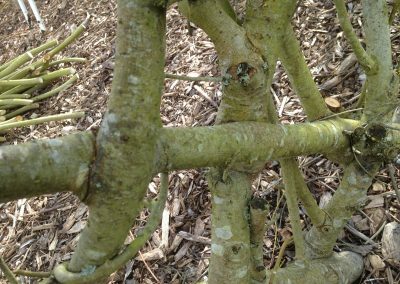 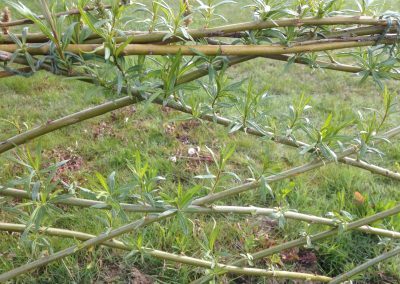 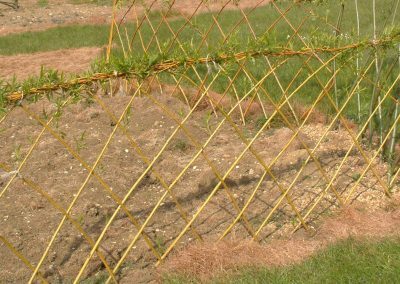 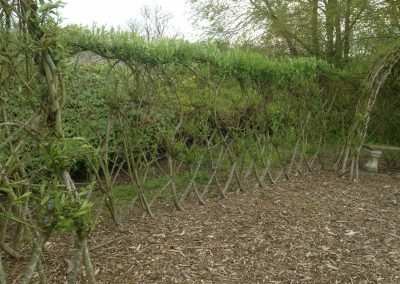 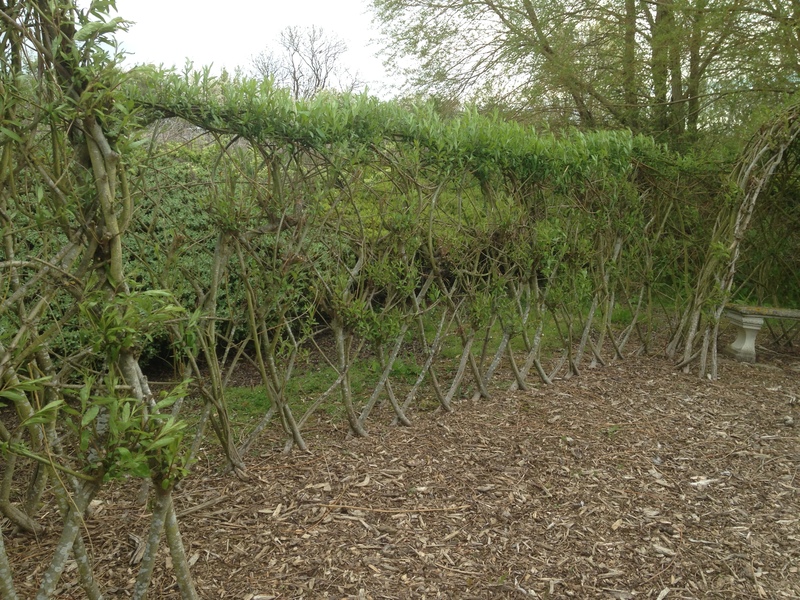 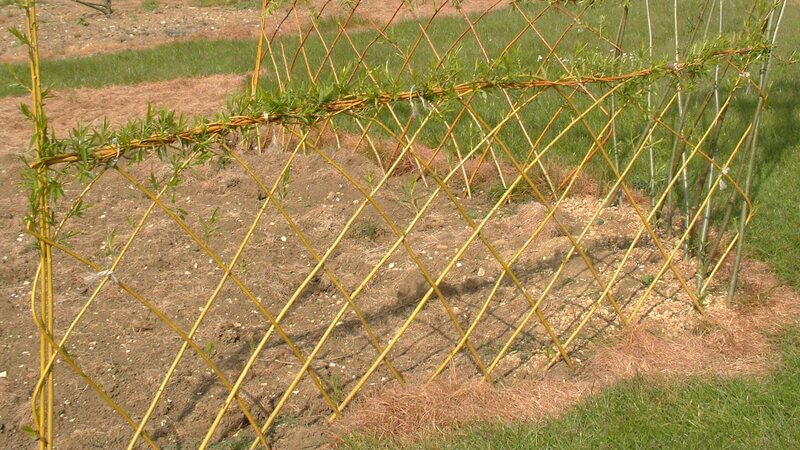 A more ‘random’ Fedge . .
originally planted as a Fedge A , the top growth has been woven together at a higher level in subsequent years for a more random effect. 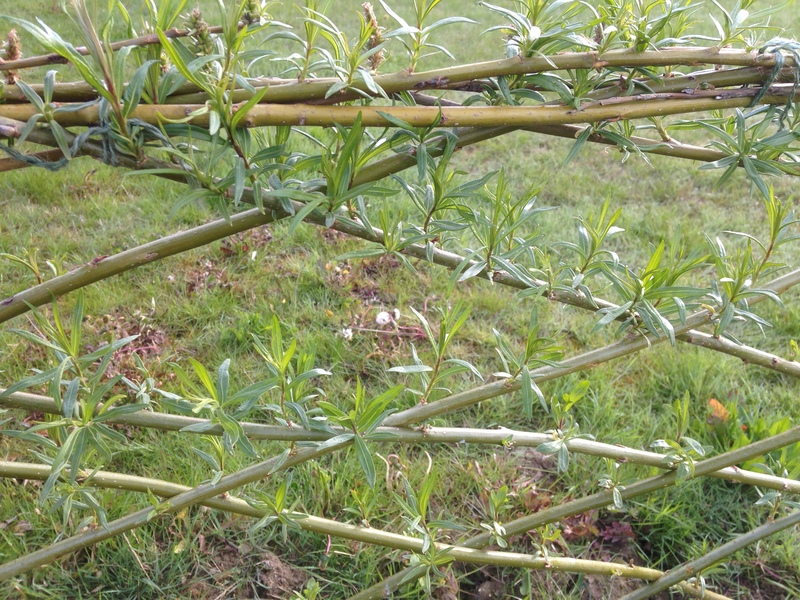 Showing early Spring growth. 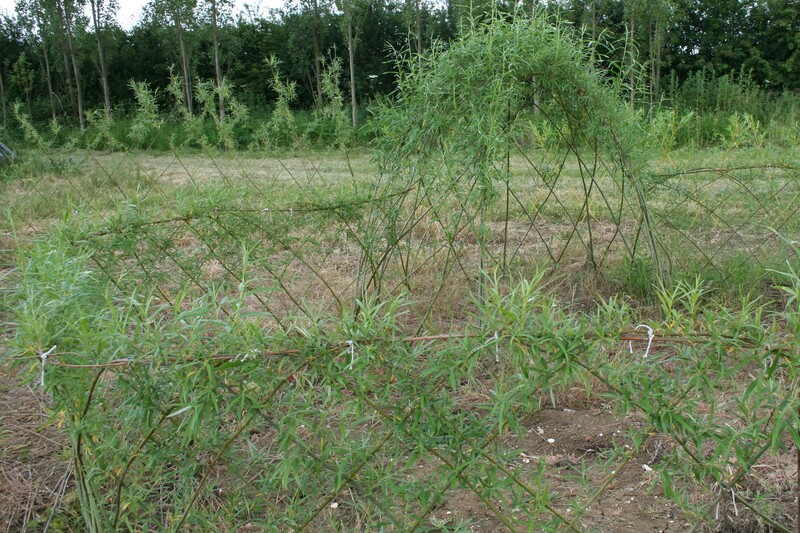 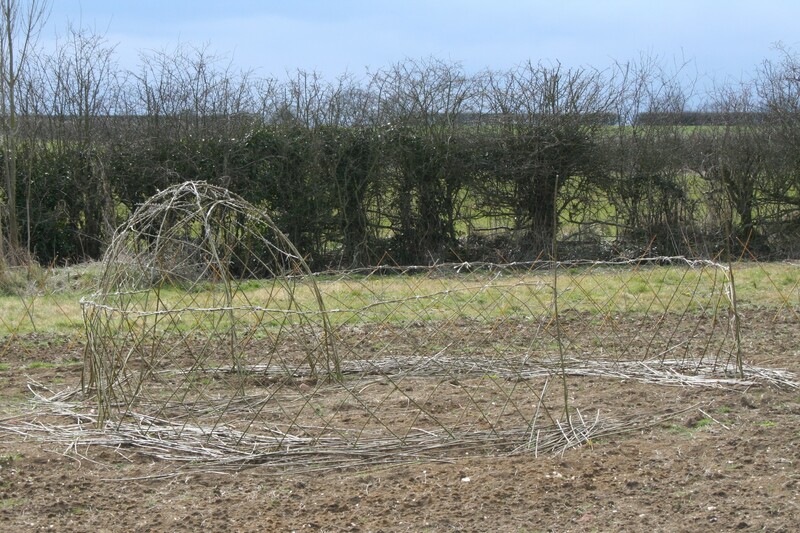 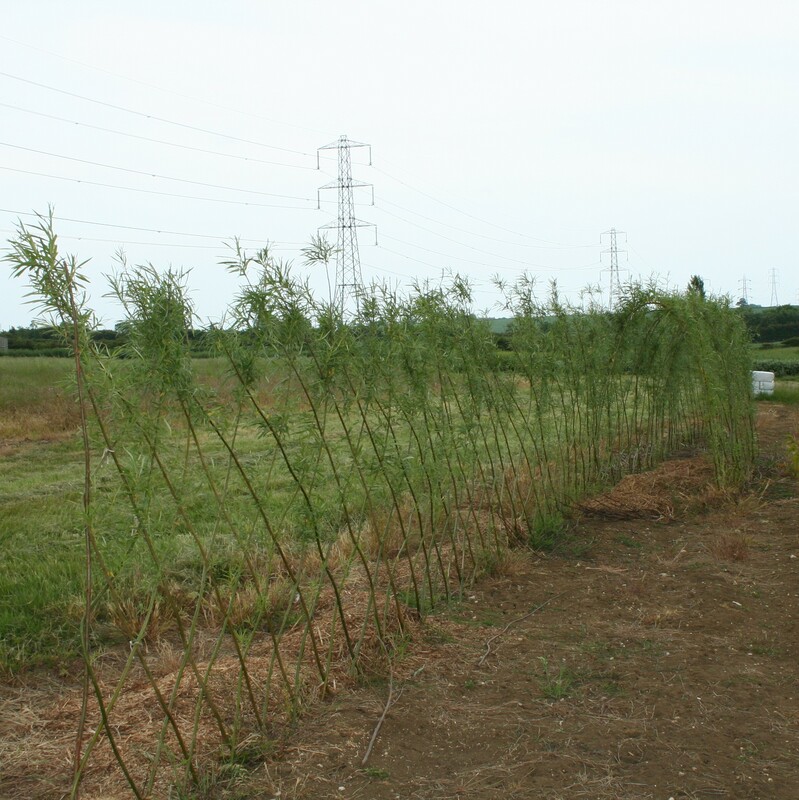 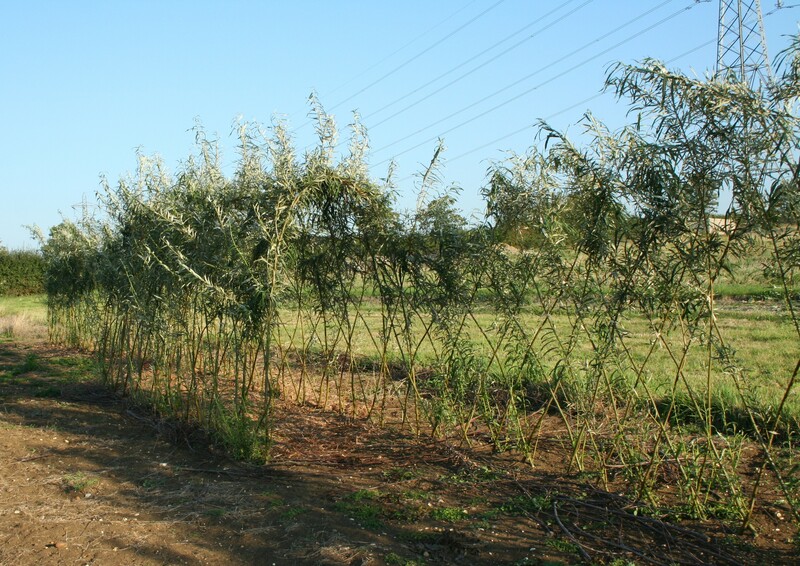 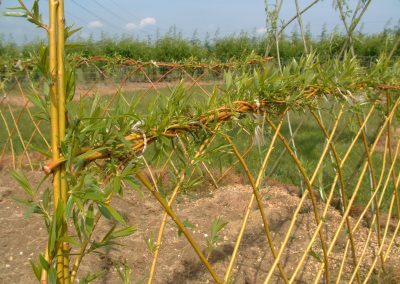 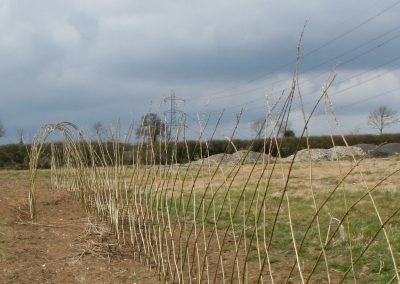 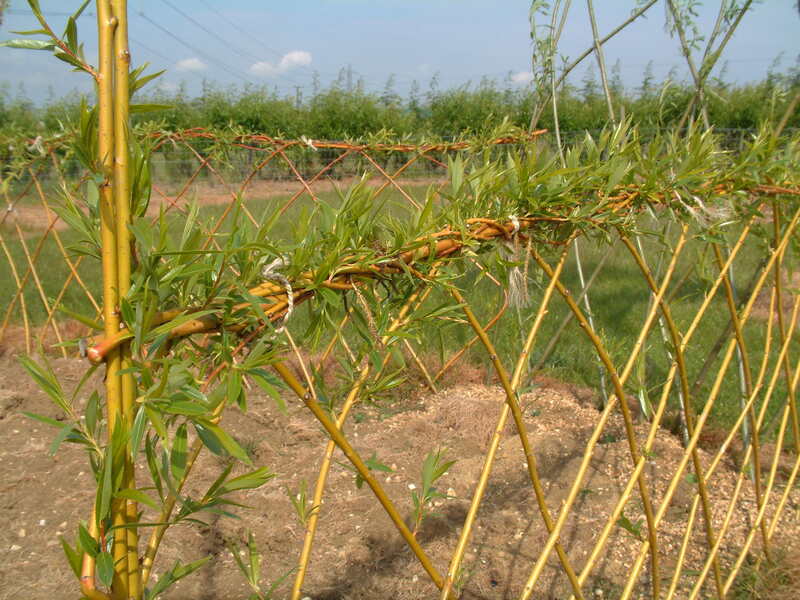 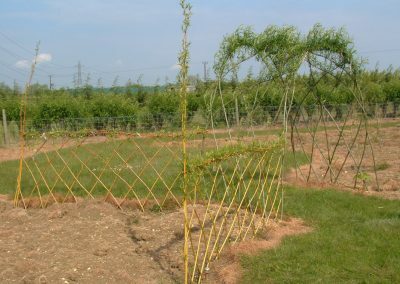 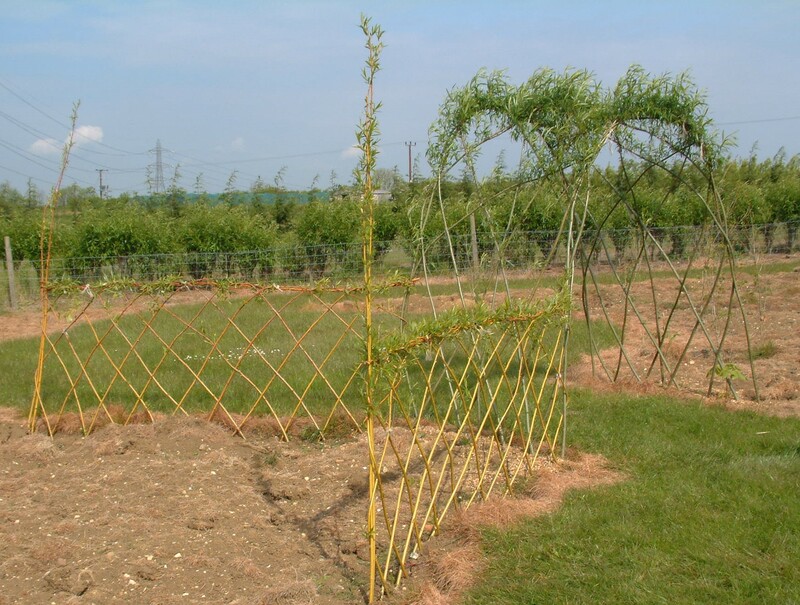 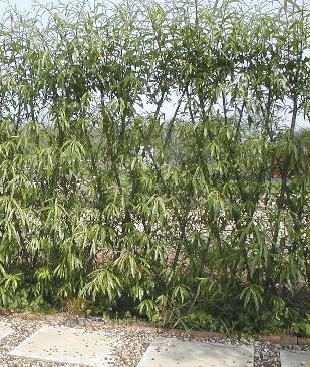 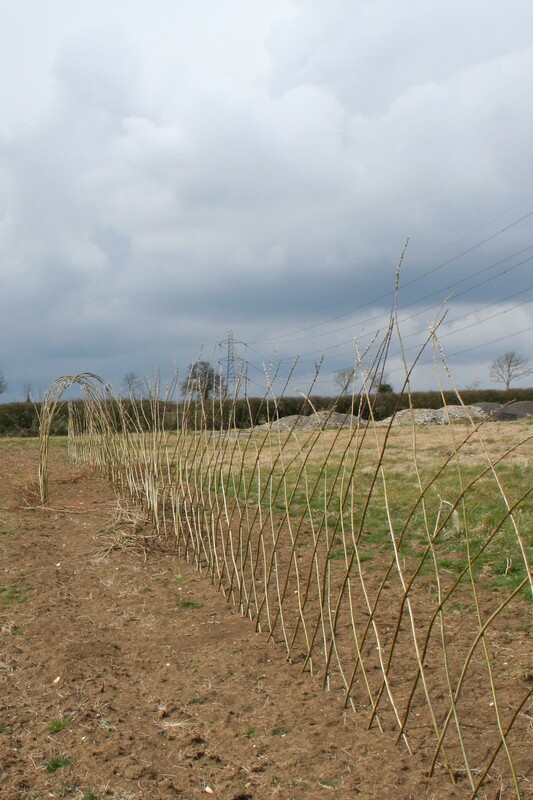 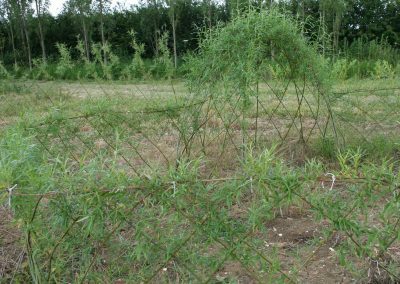 and to see further information about our living willow.